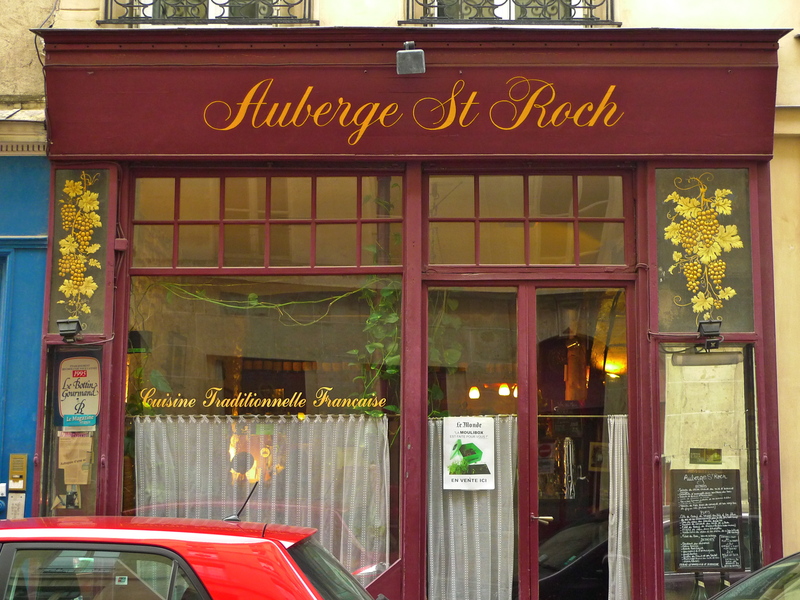 AT FIRST SIGHT, the Rue Saint-Roch seems to be an ordinary street in the 1st arrondissement of Paris, a stones throw from the Jardin des Tuileries and the Musée du Louvre. But, as is so often the case in this wonderful city, things are not always quite what they seem. Let’s start with the obvious. 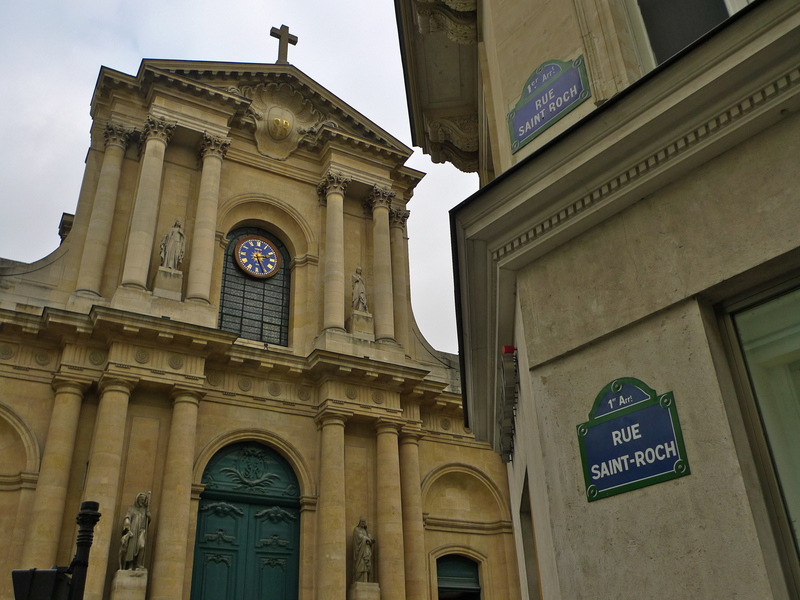 The most prominent feature in the street is the Église Saint-Roch at the junction of the Rue Saint-Roch and the Rue Saint-Honoré. The church was built in the late baroque style. Louis XIV laid the foundation stone in 1653 and building was completed in 1754. 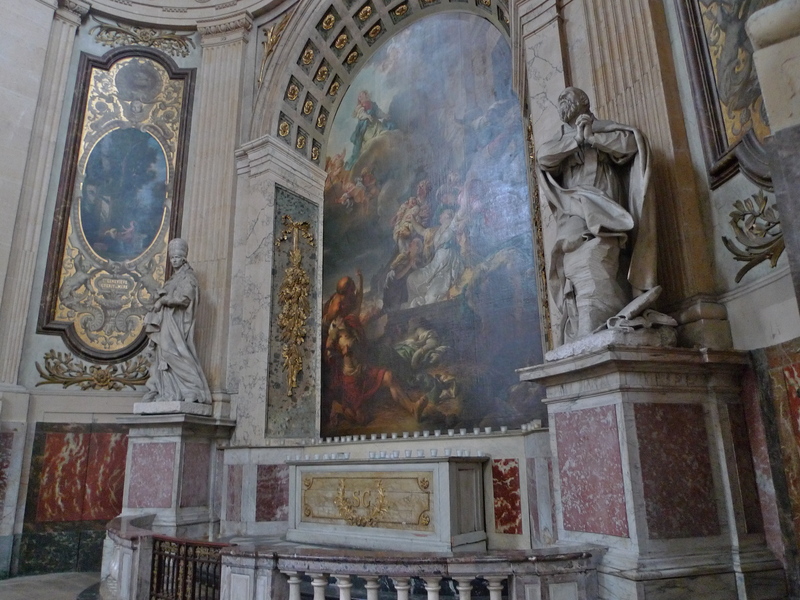 The church suffered during the French revolution, it was ransacked, and many works of art were stolen or destroyed. Scars of the revolution are still to be seen on the façade of the church with the marks left by flying bullets. 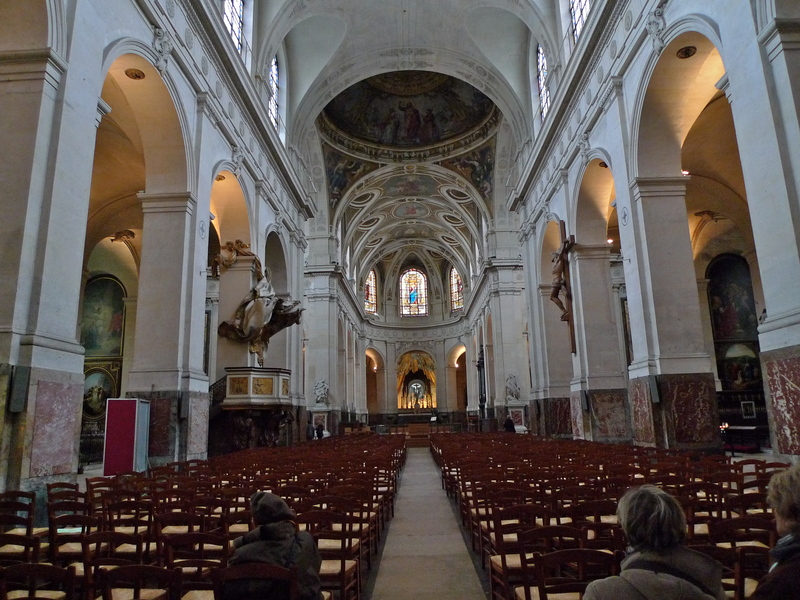 It’s a well-kept secret, but the Église Saint-Roch is notable because the French aristocrat, revolutionary politician, philosopher, writer and notorious libertine, the Marquis de Sade, was married here on May 17, 1763. 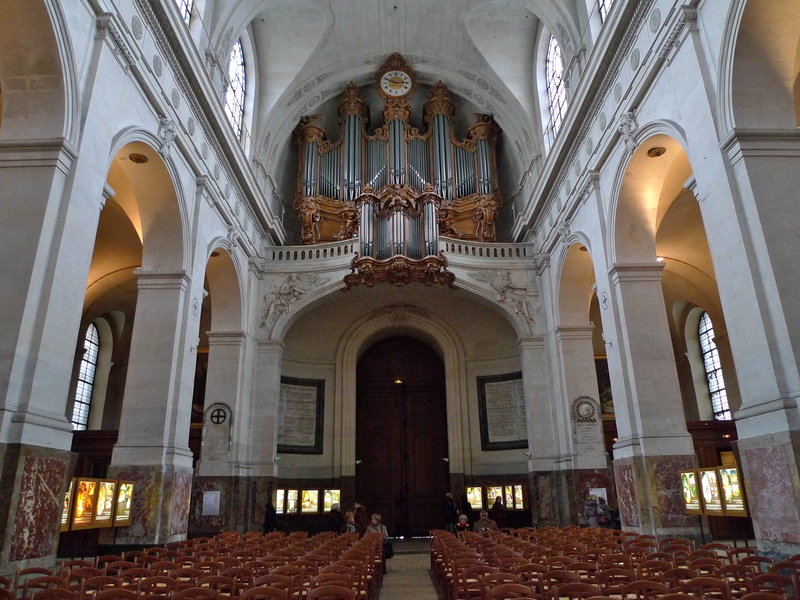 The Église Saint-Roch is special for me because it is yet another Parisian church with an organ that has the fingerprints of the master organ builders, François-Henri Clicquot and Aristide Cavaillé-Coll all over it. 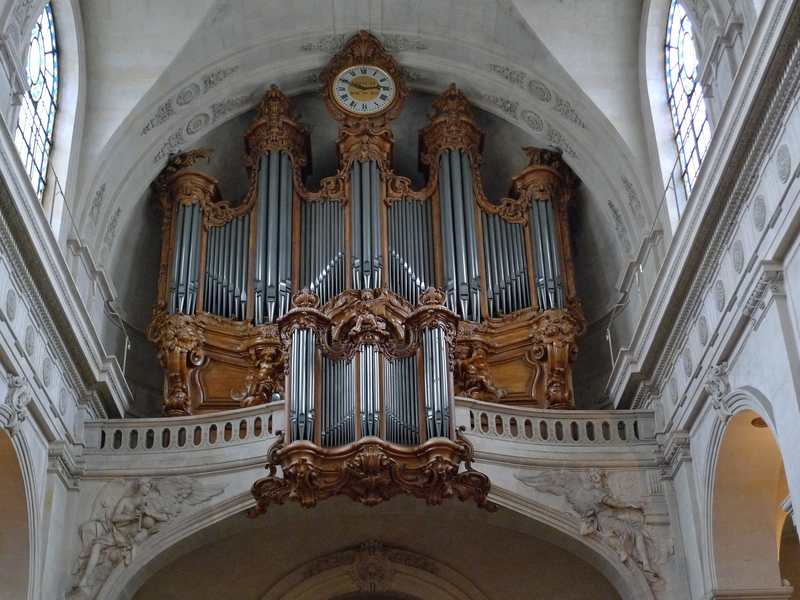 In 1750, François-Henri Lesclop was commissioned to build the first organ but he died before the work was completed. François-Henri Clicquot was asked to finish the work, which he did in 1756. The organ was restored just over a hundred years later in 1859 and again in 1881 by Aristide Cavaillé-Coll. This magical combination of work by François-Henri Clicquot and Aristide Cavaillé-Coll is to be found in churches all over Paris, not least in the Cathédrale Notre-Dame de Paris. And so, back to the Rue Saint-Roch itself. The origins of the street date back to somewhere around the tenth-century. 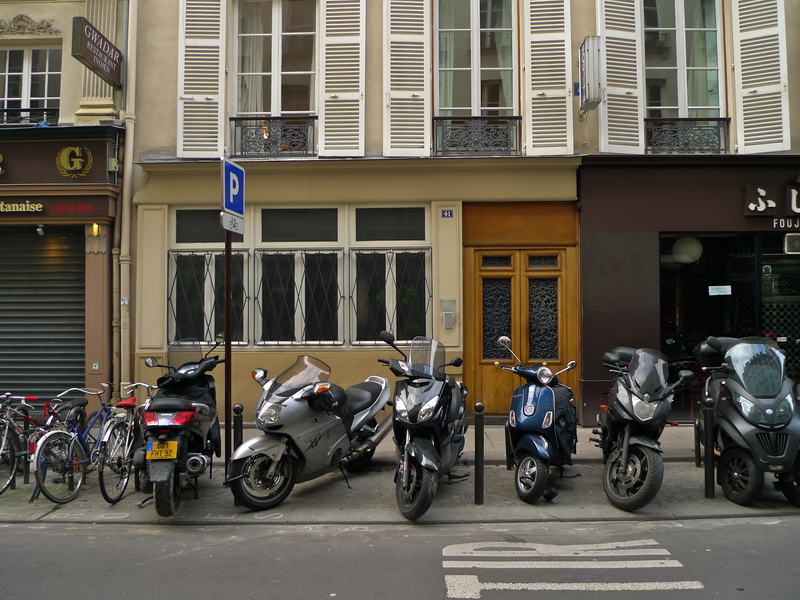 It was officially named for the first time in 1450 as Rue Saint-Vincent then, several hundred years and several name changes later, it became Rue Saint-Roche in 1879. 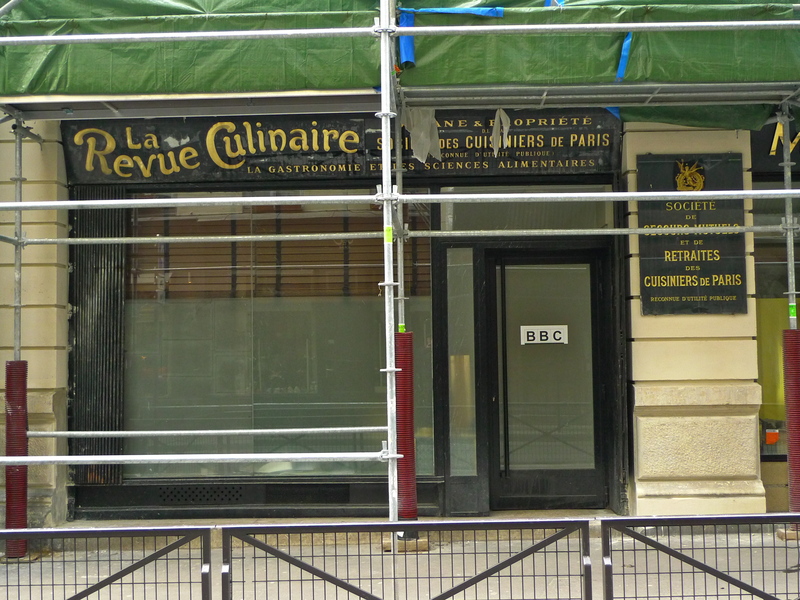 Today, amidst scaffolding and extensive building work, Rue Saint-Roche is home to the Paris Bureau of the BBC who advertise their presence in rather austere terms compared to the other more elegant signage on the rest of the building. 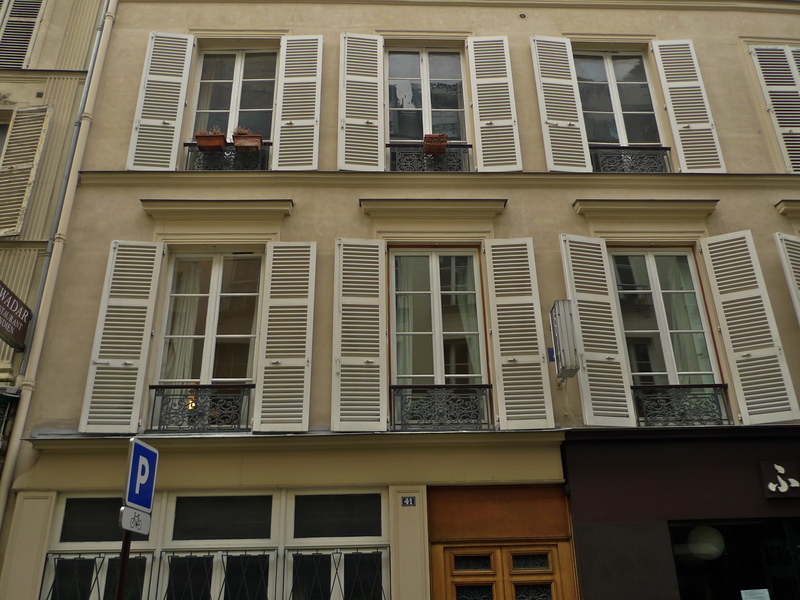 The sounds of the Rue Saint-Roch may be what I came to listen to but what I especially came to see was this house, two doors down from the BBC office, N°41 Rue Saint-Roch. An ordinary looking house you might think, but this house has a history, a secret history. 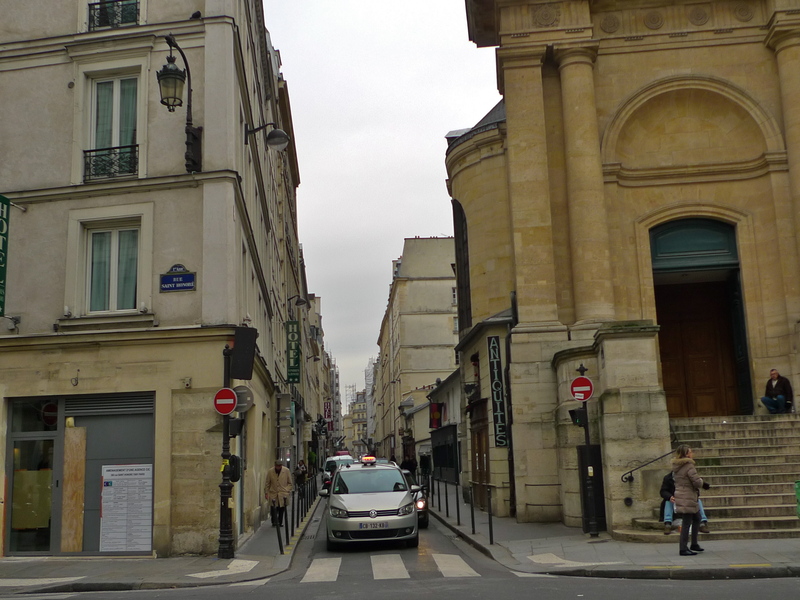 During the First World war, N°41 Rue Saint-Roche was the headquarters of a secret British military intelligence operation involving an underground espionage ring operating behind enemy lines. The story of 41 Rue Saint-Roch is intriguing and brilliantly set out in Janet Morgan’s book, The Secrets of Rue St Roch. It’s a story of ingenuity, bravery and meticulous attention to detail, the very stuff of espionage behind enemy lines. During the First World War, the Germans depended on trains to sustain and move their armies. The Allies realised the crucial importance of timetable information and of knowing what troop trains in occupied territories were carrying. Movements of men and guns from one part of the front to another, or the clearing of hospitals in forward areas, indicated the position and timing of the next offensive. It was difficult to find people who could provide such intelligence, and difficult for it to be passed on. The front line was impermeable, neutral borders mined and electrified, movement restricted and clandestine radio and aerial reconnaissance were in their infancies. The Allies made many attempts, but German counter-espionage was formidable – though one network, La Dame Blanche in Belgium, was an espionage triumph. There was no coverage of tiny Luxembourg, which became, as the war went on, an increasingly important rail hub. It was partly to address this that Captain George Bruce, later Lord Balfour, was assigned to a department of British military intelligence at 41 Rue Saint-Roch. He identified a possible recruit, a middle-aged Luxembourgeoise called Lise Rischard, whom he persuaded to return to her country as a railway spy. She began reporting by letter and newspaper code, which was a difficult business but this improved when she was joined by another of Bruce’s agents, an irrepressible Polish-Belgian soldier called Baschwitz Meau, who had escaped five times from German prison camps. Meau was inserted into Luxembourg by hydrogen balloon at a late and crucial stage of the 1918 German spring offensive. The importance of the intelligence that he and Rischard provided from the agents they recruited can be gauged by the honours they later received – she the CBE, he the DSO, and both were made Chevaliers of the Legion d’Honneur. I often wonder how many of the people who pass along the Rue Saint-Roch every day have any idea of the secret history of the house at N°41. I walk the streets of Paris endlessly, observing and listening, and I am constantly intrigued by how the seemingly ordinary can often turn out to be quite extraordinary. 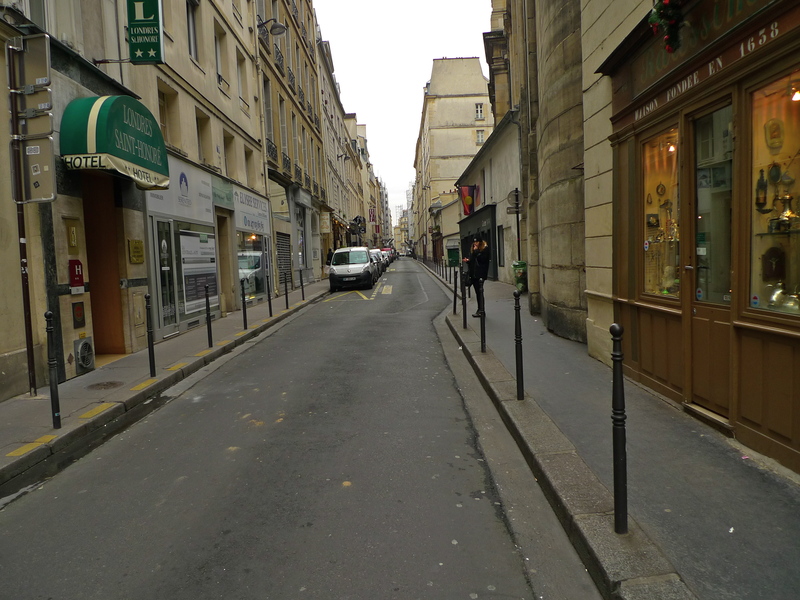 The Rue Saint-Roch is a perfect example of this serendipity.